SABC staff have embarked on a silent protest by wearing black on Wednesday ahead of a planned picket against staff retrenchments on Friday. 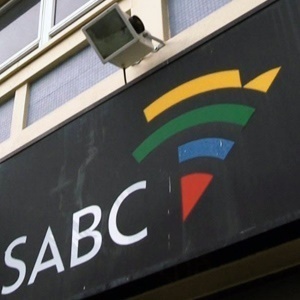 The SABC announced previously that almost 1000 jobs hang in the balance, with a further 1 200 freelancers facing the axe. The cash-strapped state-owned enterprise has declared that it is technically insolvent and is desperate to turn things around fast. The Broadcasting, Electronic, Media & Allied Workers Union (Bemawu) and the Communication Workers' Union (CWU), the two biggest trade unions inside the SABC, have asked staffers to wear black on Wednesday in the face of the looming retrenchments. The last time SABC staffers donned black in a silent protest was in 2016 in an open revolt against then-Chief Operating Officer Hlaudi Motsoeneng. During lunch time on Friday, SABC staffers will publicly protest and picket outside the SABC's Auckland Park headquarters in Johannesburg as well as at the SABC's regional offices countrywide. A memorandum will also be handed over to SABC management and Communication Minister Nomvula Mokonyane. The picket is expected to continue next week.